Hello Darlings is the new collection from Bonnie and Camille for Moda. A fresh palette of their signature colours with a mix of small and larger scaled prints. 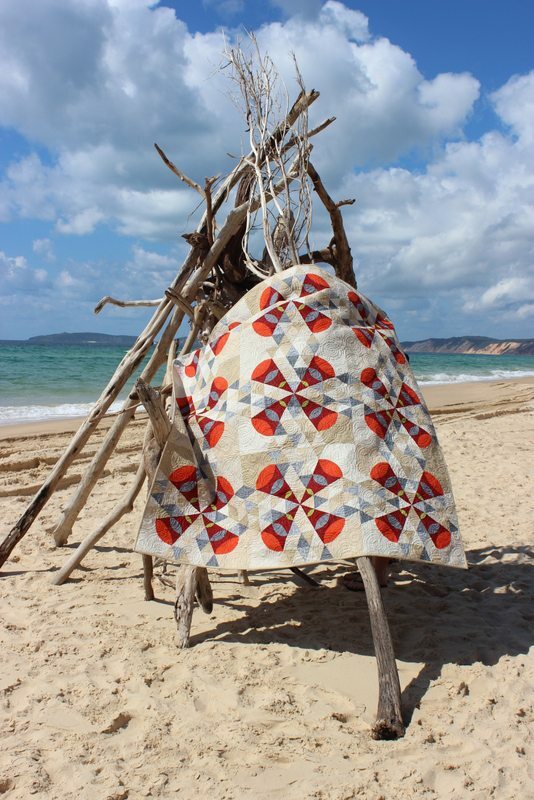 I had a charm pack waiting to be opened and used so I decided to make a block from one of the quilts in my recent publication – Desert to Sea, 10 quilts from Australian Designers. The quilt pattern is called Desert Sands and the original quilt was made from Robert Kaufman Tussah and Quilters Linen in neutral fabrics. The block is a combination of easy piecing and appliqué. 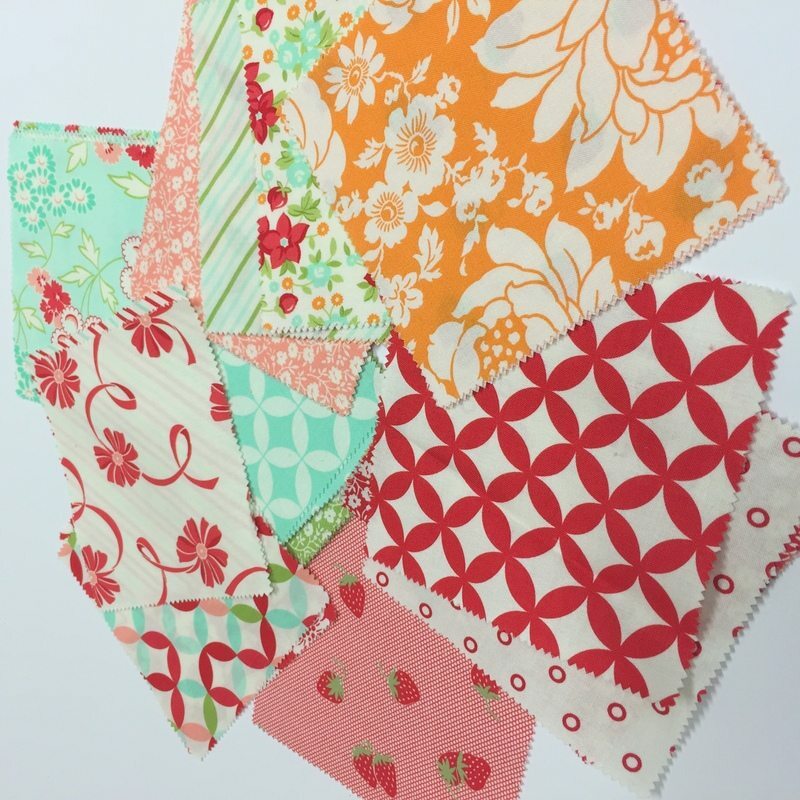 The pyramids use the Hello Darlings charm squares,background uses Daysail prints and appliqué is an assortment of grunge, bella solids and Kate and Birdie. Quilted and pieced with Aurifil 2024 (white) 50wt using the crop circle pattern. 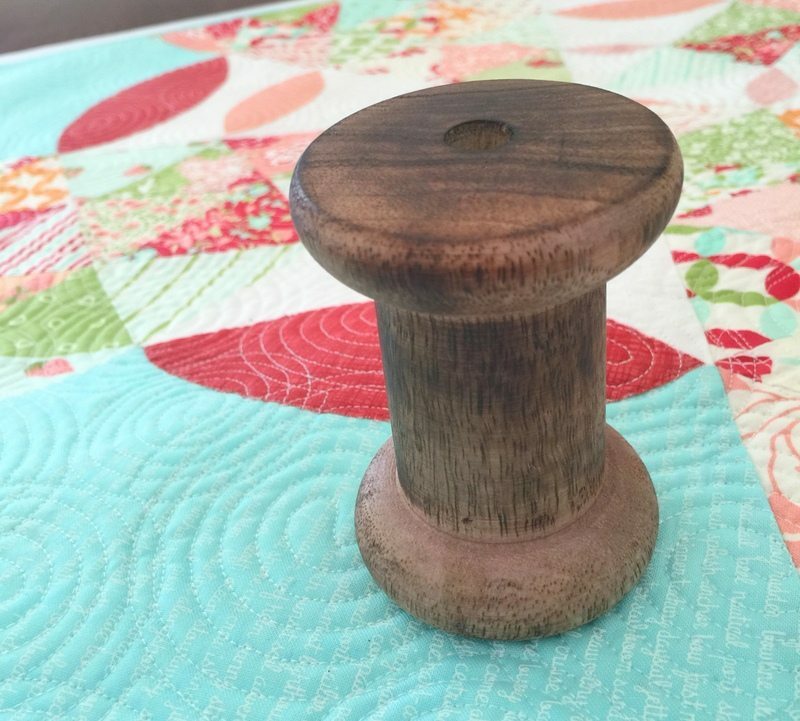 Handmade large spool is from Factory and Field, Cohuna VIC. You can find them on FB. Finishing at 24″ x 24″ it makes the perfect mini, large cushion cover or large block quilt. Jane. Your work is inspiring and beautiful.